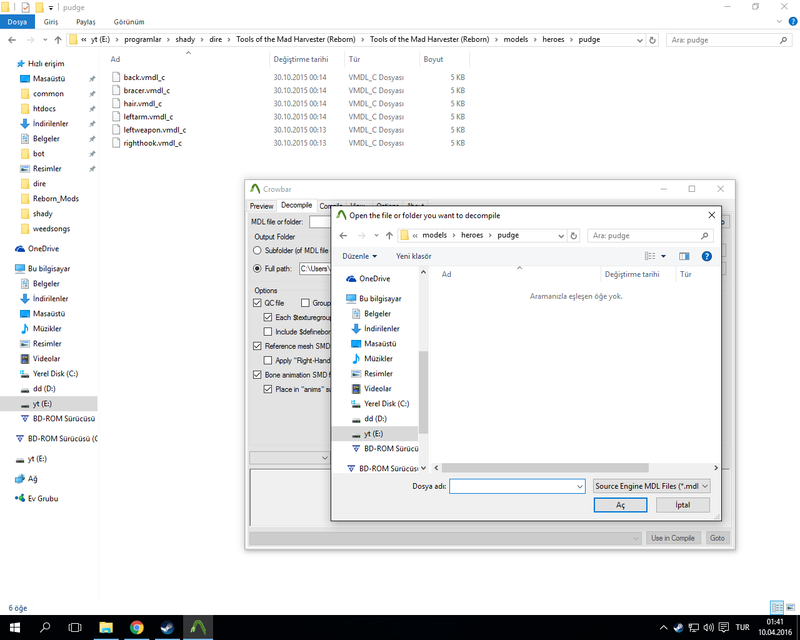 This guide will go through the process of making a .vmdl file (Source 2 Model) from a .mdl file and other model-related files from Source 1. 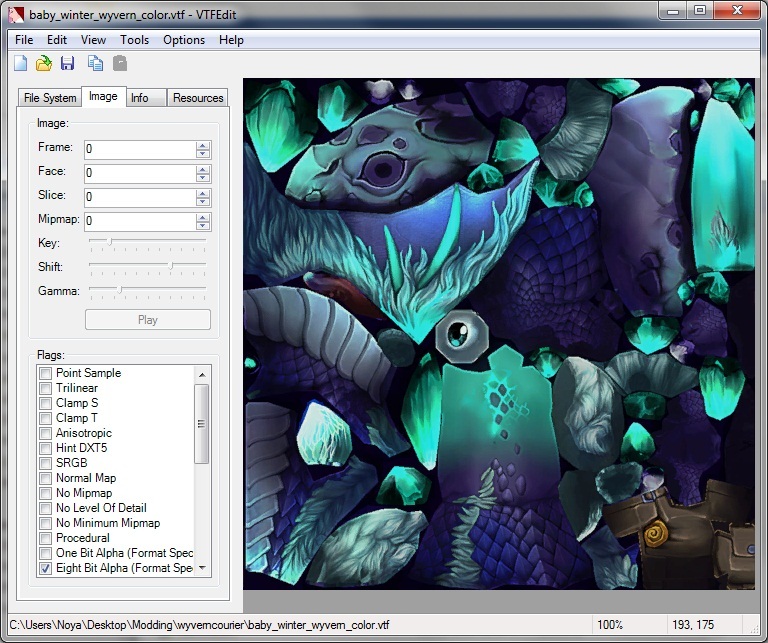 The Wyvern Hatchling courier will be used as example, but the same process applies to heroes, buildings and any Valve Dota model. 1. 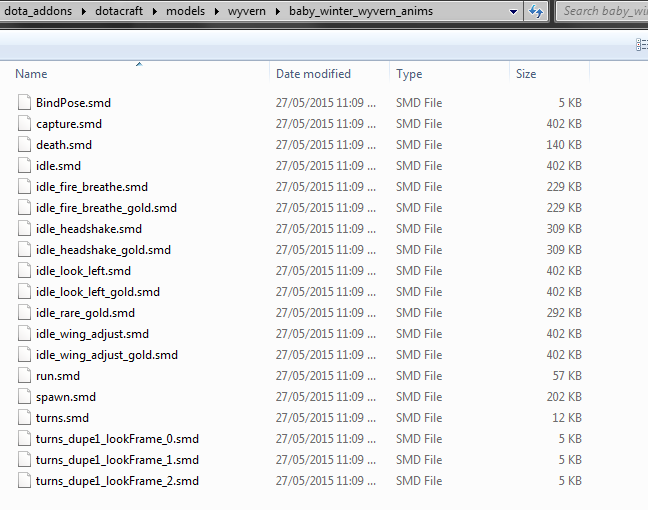 Acquire the model and material files from the main game VPK (pak01_dir.vpk) using GCFScape. Right-click extract into a folder of your choice. 3. 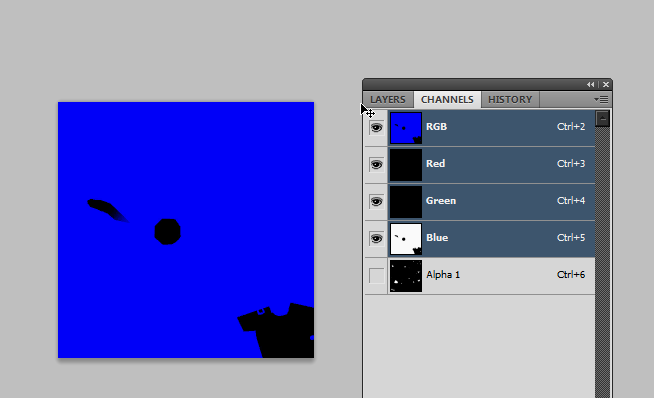 Use VTFEdit to generate color TGAs out of the VTF files acquired in step 1. 4. 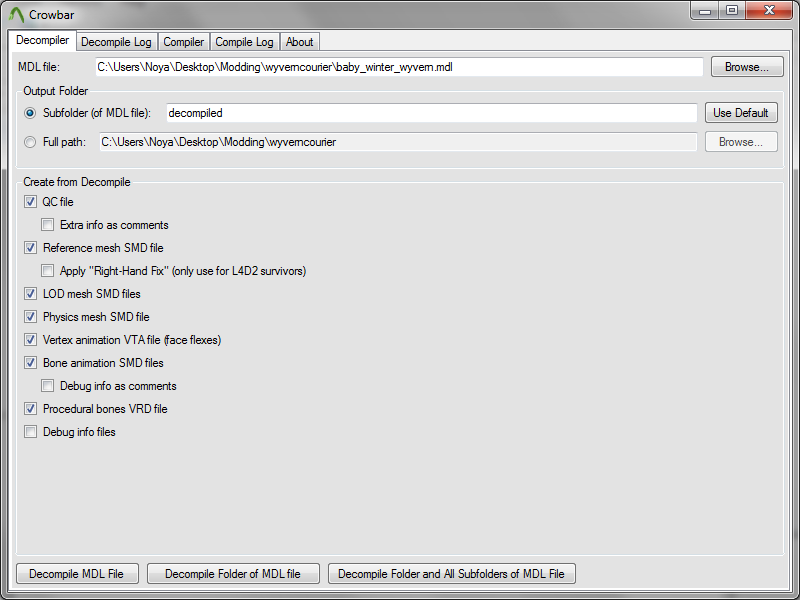 Move the generated files to your addons /content/ folder. 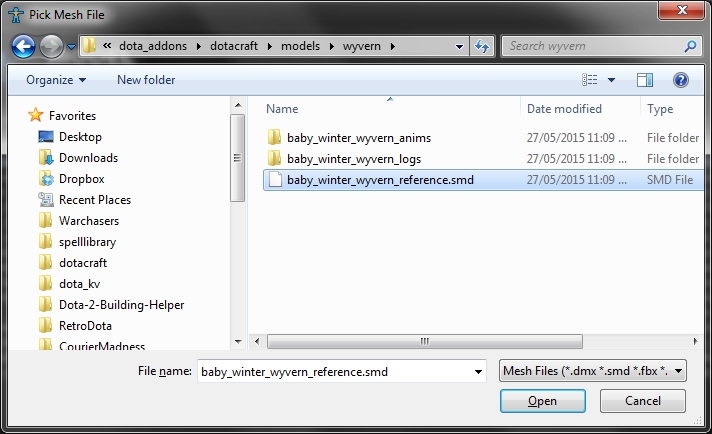 Create new folders on each or just drop the files over the respective directories. Make sure to use the content folder (not the /game/). 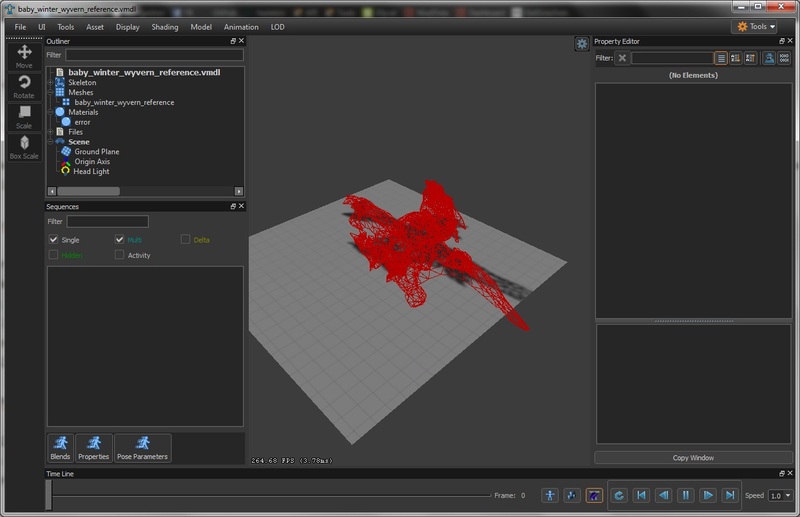 The location of the reference mesh in /content/models/ will determine the location where the .vmdl file will be saved. 5. Generate a .vmat file from the TGA files. Without doing anything yet, Save the empty material with the name of the TGA you want to make a .vmat for. Select the reference .smd file generated in step 2. 7. 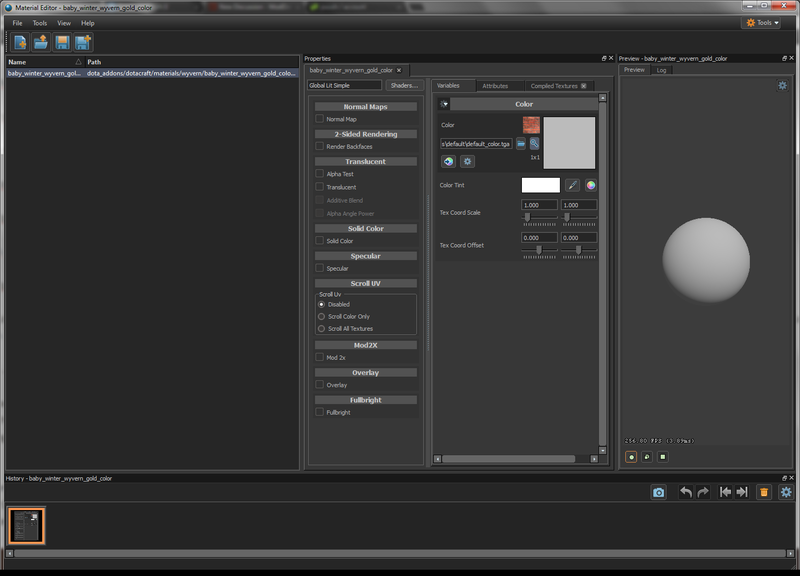 Add a Material Remap for the missing textures, using the .vmat file from step 5. Search Material, select on from the drop down list. These are missing materials which have to be remaped to the the .vmat made earlier. IF the model shows as Error, something went wrong. 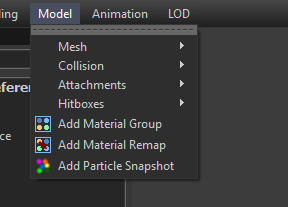 Make sure to delete the auto-compiled models and materials of the same name on the /game/ folders, which are now corrupted. Make sure everything is using the proper names and directories, sometimes the Model/Material editor feel like not working and doing Volvo things. 8. 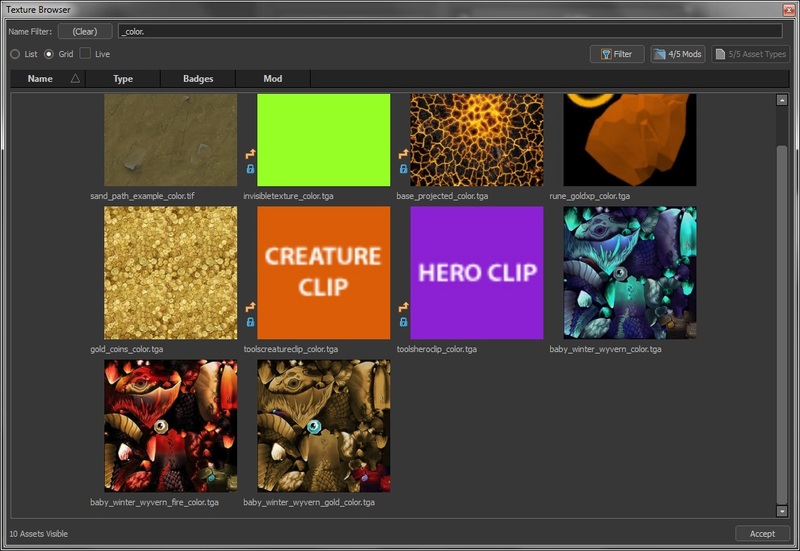 Add the Animations on the _anims folder and make Activities for them. 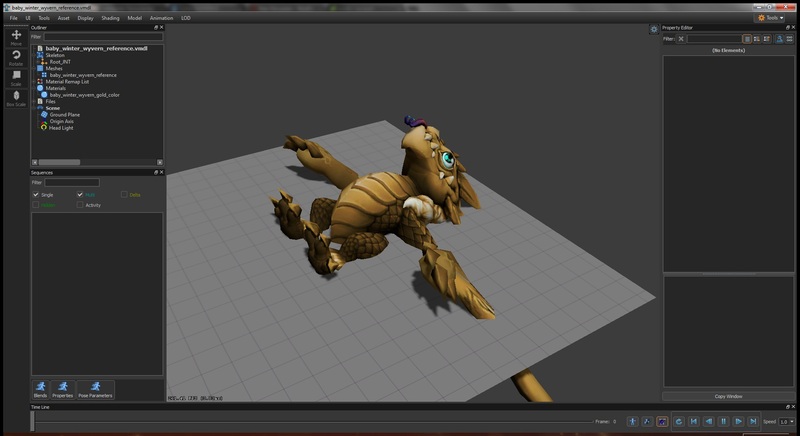 The Animations will now preview when you click over them, the model will move, but for game to use the animations it needs an Activity (the ACT_DOTA_name strings). 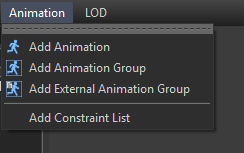 Now, select each animation you want to have a activity for. 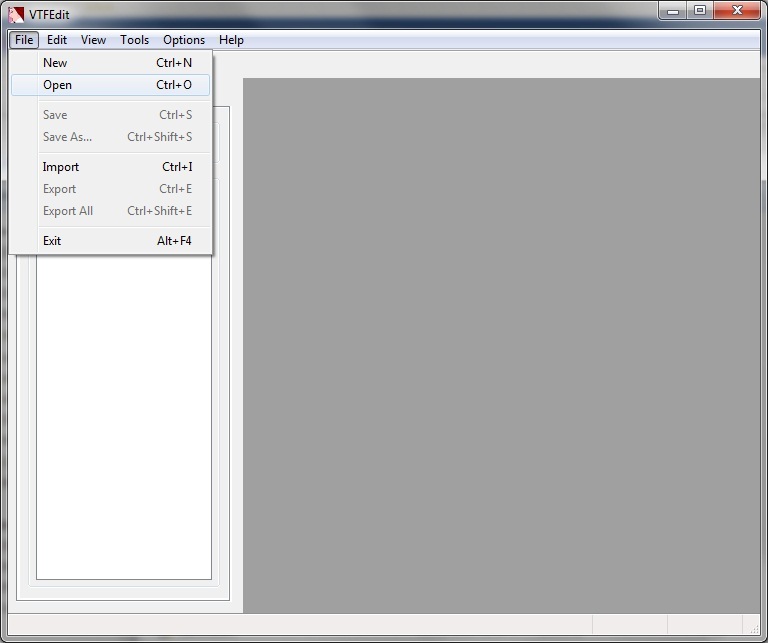 On the Property Editor, there is a an Activities element which will have 0 items by default. Click on the + to add one. 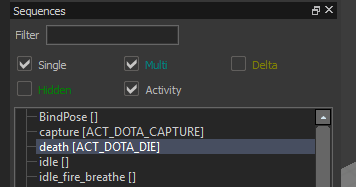 Note: This is also useful to be able to have access to some of the ACT_DOTA_ACTIVITY+string activities that some of the Taunt and Alternative animations use which currently can't be used for abilities and other purposes (as it just ignores the +string part). Knowing this, it's possible to assign some unused activity string like "ACT_DOTA_MINI_TAUNT" and force its usage trough the OverrideAnimation KV. Go to Model->Hitboxes->Auto Populate and accept the list of all bones. Been trying to go through and recolour Rubick, which I seem to have succeeded in doing thanks to the guide, but I'm at a loss as to how to force the game to use his new model instead of the default without causing his animations to break. 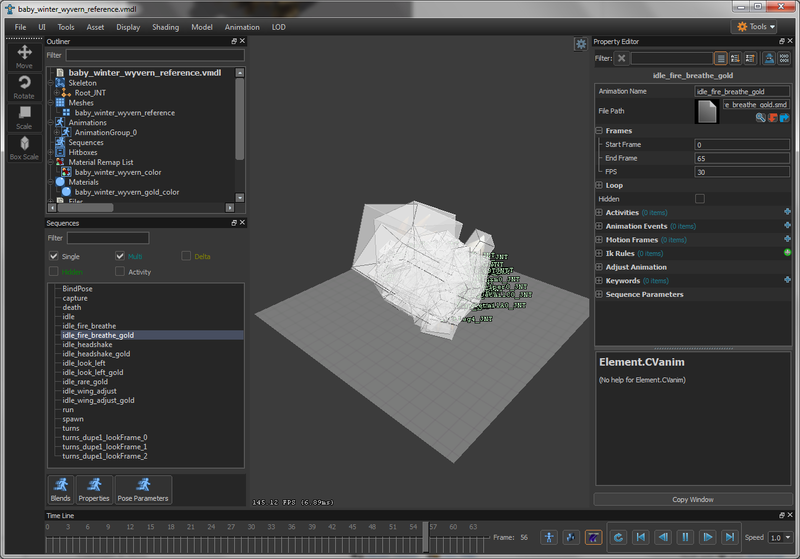 The first case I tried using "model" and setting it to "rubick_reference.vmdl". This worked, but only for one part (expected, but annoying nonetheless) and the animations broke. So I decided I would instead replace the content by putting it on the same path ("models/heroes/rubick") and renaming them to match. This worked... but the animations are still broken. He just slides around. Would there be any reason this is happening? Am I missing something? UPDATE: He can't be targeted as well, which makes me think the model isn't being loaded properly, but it looks fine (no ERROR blocks or anything). 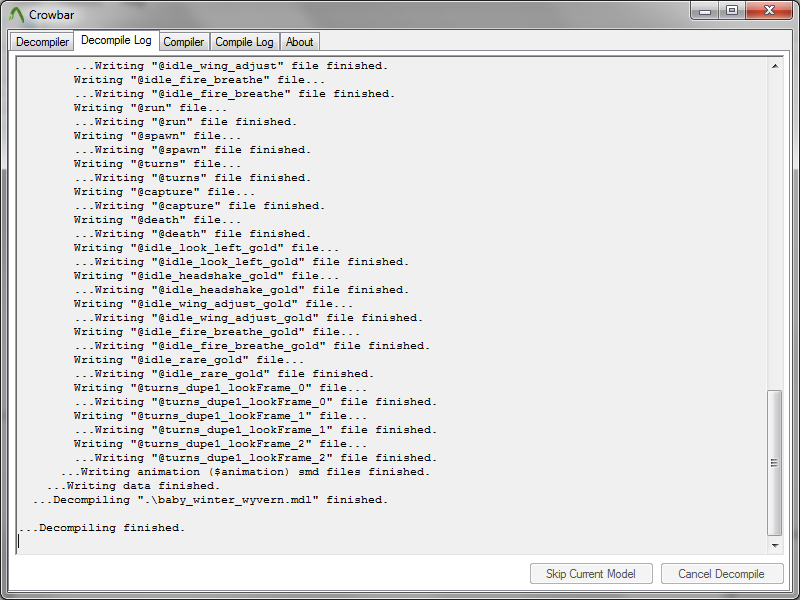 Precaching the model folder does nothing. 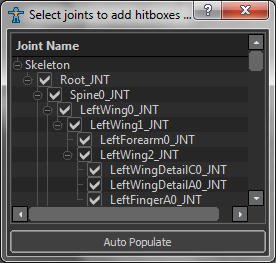 For the Hitboxes, go to Model->Hitboxes->Auto Populate and accept the list of all bones. Added a 9th step for this. Particle Attachment Points. 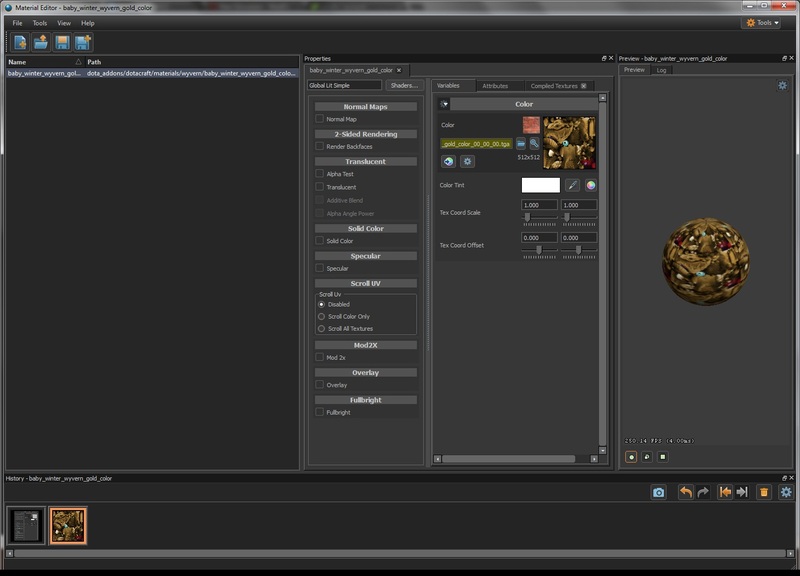 Refer to kritth's brilliant tutorial for it: Importing custom model without any cosmetics, Step 8. 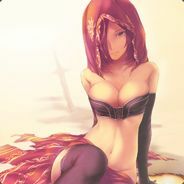 His guide also mentions most of the steps explained in this guide but also has a ton more information about non-valve models. 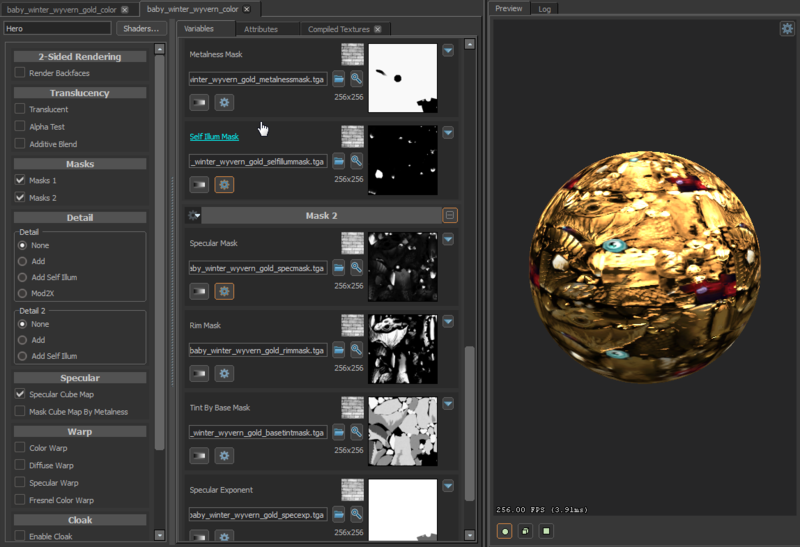 Material Shader Masks. 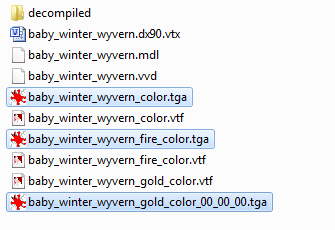 If you check the original wyvern courier gif, you'll see that the golden version is way more shiny than the basic end result. This is because when doing the material, some extra .tga textures can be applied to it for better effects. Follow the instructions on the next post by @Toyoka to understand the magic of texture effects. Hey Noya, thanks for this guide, it'll be really helpful for a lot of people (including me)! In order to utilize the masks1 and masks2 textures, you will need to change the shader type from the default Global Lit Simple (GLS) to the Hero shader. This is because the Hero shader is used not only by hero character models, but also by couriers which use the same types of textures. Fortunately (or unfortunately, depending on how you look at it), Source 2 overhauled the way materials and textures work. 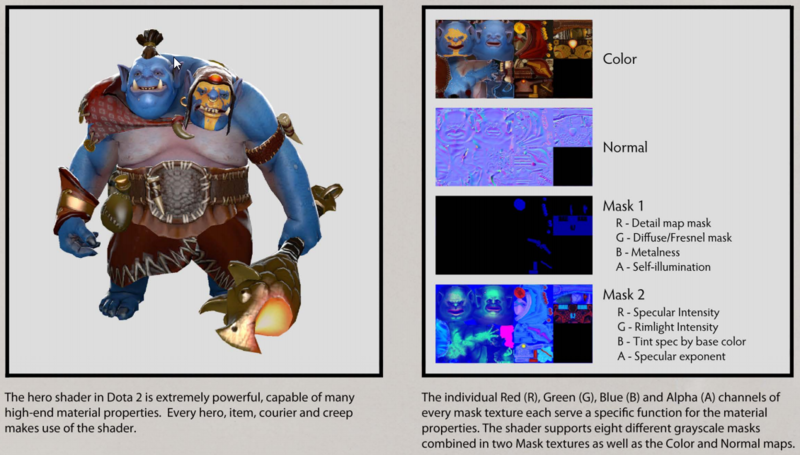 In Source 1, the effects of a texture were split into the 2 masks textures. In Source 2, each of the effects these 2 masks represented now have their own image file. This allows for a greater control of each effect, allowing one to tweak each individual one to their liking without having to go back and forth between programs to do so. 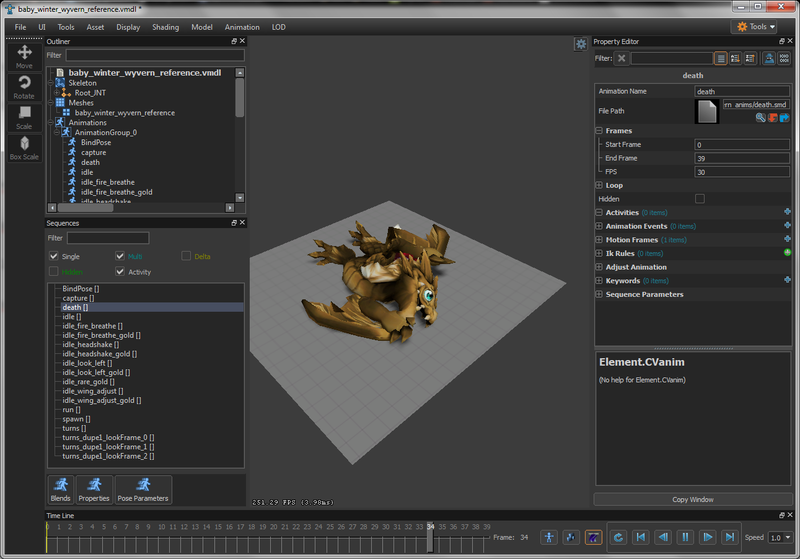 But it also requires more time to create them (especially if you are converting models from Source 1). You will need to open the masks1 and masks2 .TGAs in photoshop (or an RGBA channel and .TGA compatible editor) and go over to the "channels" tab. In order to split these channel effects into their own images, you can do so simply by creating new blank image files with the same size (in this case, 256 x 256), naming them accordingly and then copying the corresponding channel into the new image as a layer. 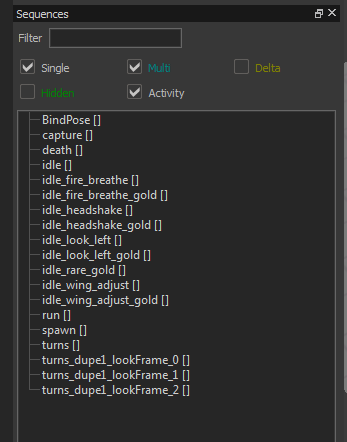 The metalness (blue) mask will be named baby_winter_wyvern_gold_metalnessmask and the self-illumination (alpha) mask will be named baby_winter_wyvern_gold_selfillummask. 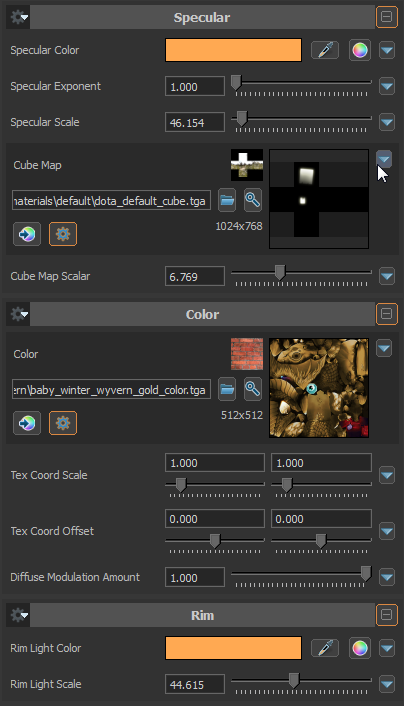 Once all the effects are named properly and have been split up, save them as Targa (TGA) images in the appropriate directory (they should be stored in the same folder as the _color and _normal textures you extracted earlier in the tutorial). 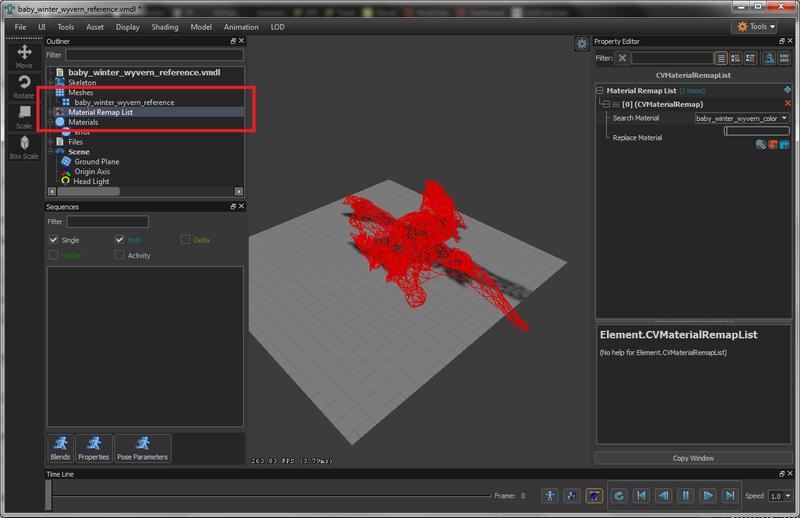 Finally, you can start to input each texture to its proper place within the masks1/masks2 properties. http://i.imgur.com/tLJzYhN.png You will also likely notice that the texture becomes darker. This is a result of the self-illum mask taking over the majority of the texture's lighting (the black in the self-illum is darkening the rest of the texture) which will require some manual tweaking to lighten-up the texture. You may also find that the specular (shine) on the material is not the right color. This will also result in some manual tweaking to find the right tint of shine to your liking. 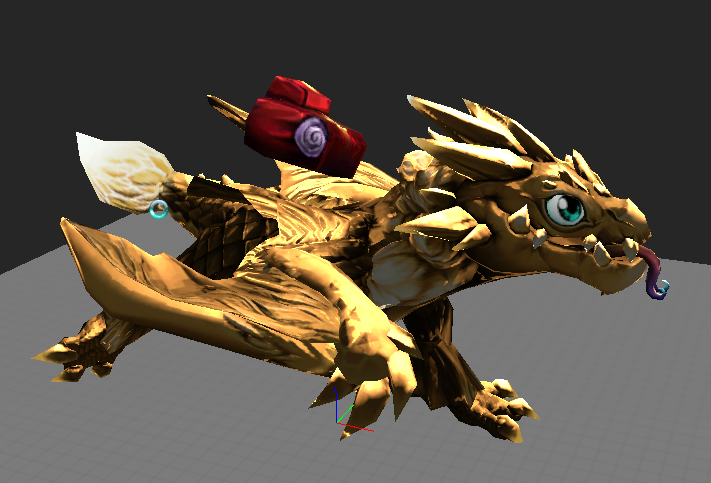 You may also note that the cubemap provided in the files for the golden baby winter wyvern is not supported by the material editor. You will have to make due with the default cube map or convert the one given into a proper cube map on your own. The link provided for VTFEdit (1.2.5) is outdated, and can only open VTF files with version 7.0->7.4, whereas (most?) 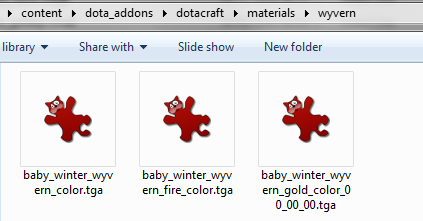 DotA textures use version 7.5! Weird, I had no issues opening any of the VTFs. Updated the main post with the newest link regardless, thank you. I've used this guide for a few reskins on an SFM2 project I am working on and I've noticed that after I recompile a model, all the bones are there but non-bone variables (ie, face-posing sliders) dissappear. Does anyone know how to keep these when I recompile, or failing that, does anyone know a good doctor to restore facial muscles? Is there a tutorial for creating the portrait, or how to make the portrait? I've successfully imported the tf2 player models, medic, heavy, etc, but have yet to figure a way to create the portraits. 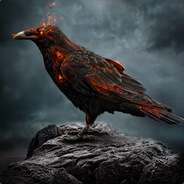 I've looked into the attachements for attach_origin, and the activity of act_dota_capture. None of which seem to work. Any thoughts? Ok thank you. 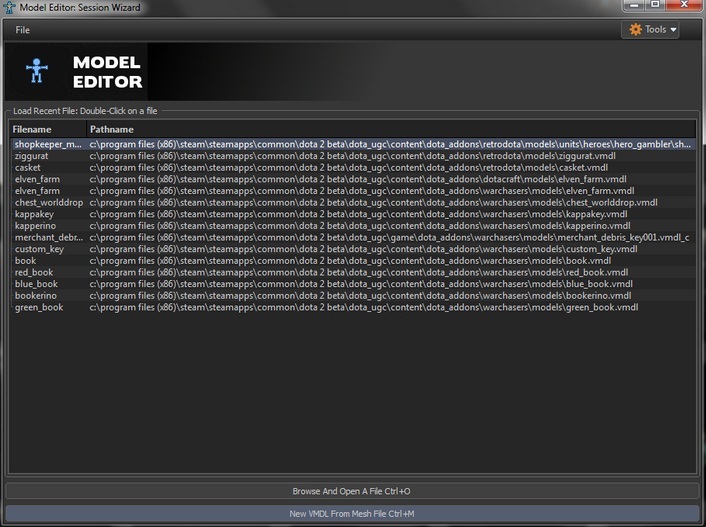 Edit - I looked over a few tutorials, all of which say the same thing, but none have worked for a "custom" model. The portrait debug doesn't want to work for me in the reborn tools. I'll continue looking into it tomorrow. this courier's gold style has twinkle effect. how to attatch it? 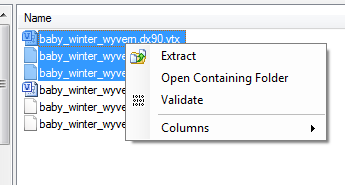 We still have no easy access to decompiled VMDL so if you can get your hands on the source1 files I think this is the most reliable way to get it working. crowbar version decompiled 0.34 :blink: Why does this happen ? 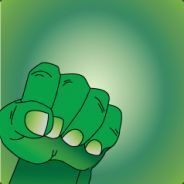 You need Dota 2 on old Source 1 Engine! 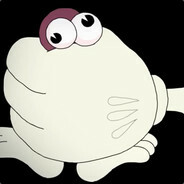 Until someone or :valve: release something like Crowbar Decompiler! But for Source 2.